Description : The name is derived from that of Duke RaimondodiSangrio, Prince of Sanseviero. There are about 60 species in this genus native of tropical and South Africa and India. These are herbaceous perennials with short thick rhizome. Leaves erect, flat or cylindrical, leathery, in various colours and markings, arise in clusters or in regular order. Sansevierias are very hardy and survive in a wide range of environment and poor soil. Grow Clean Air Benefits: While all plants purify air-borne toxins the snake plant is among the top plant's tested and added to a list by NASA (National Aeronautics and Space Administration) for removing Benzene, Formaldehyde, trichloroethylene, Xylene and toluene. COMMON NAME: SANSEVIERIA GOLD. 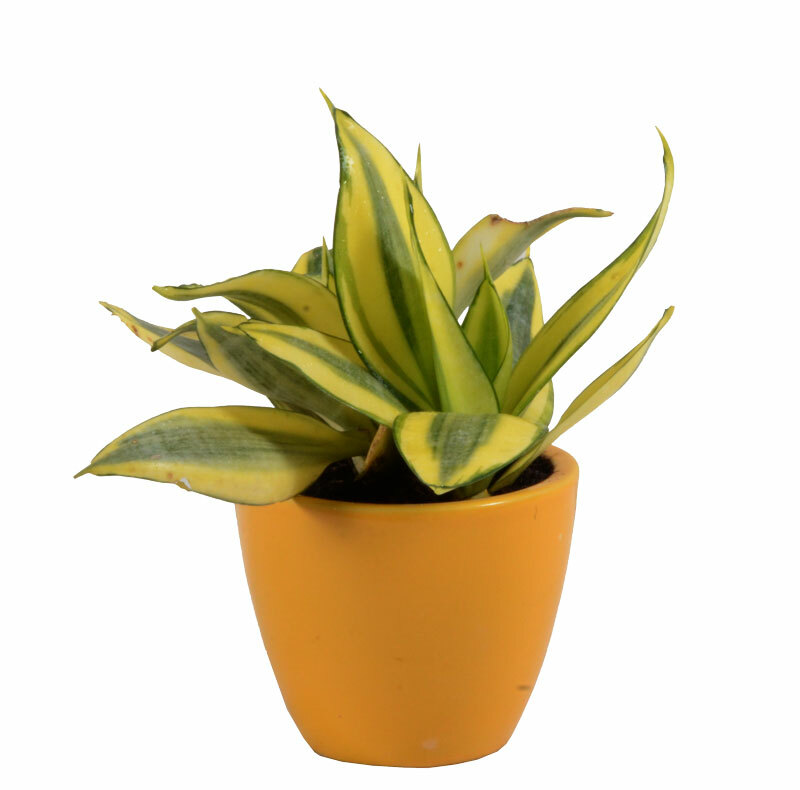 BOTANICAL NAME: SANSEVIERIA TRIFASCIATA ‘GOLDEN HAHNII’ . A very showy variety forming elliptical short leaves, greyish green with longitudinal bands of cream and golden yellow.